Margaret Vos is content with her converted main-floor apartment. Then: Erected in 1914, St. Thomas was Waterdown’s third Catholic church. It thrived in the years that followed, and by 1990 the congregation had outgrown its historic home. The parish later rebuilt on Centre Road and the property was declared surplus. Now: In 2002, the church and the land surrounding it — around 1.4 acres — was bought by a developer. 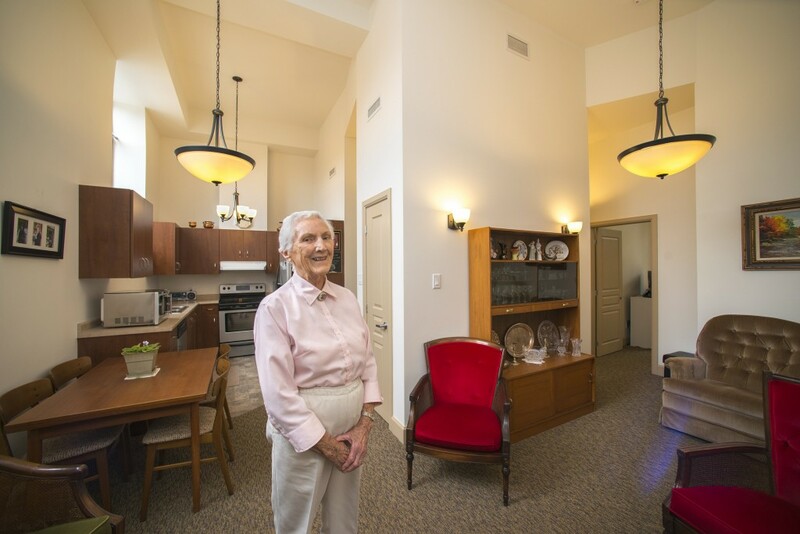 He restored the building and transformed it into seven rent-geared-to-income apartments for older adults. Then: Originally part of St. Matthew’s parish, St. Peter’s was erected in 1892 and enlarged in 1915. The building was returned to the Niagara diocese in 2010, after the church split from the Anglican Church of Canada over differences on issues such as gay marriage and homosexuality. Now: In 2010, the diocese let parts of the building to the Hamilton Association for Residential and Recreational Redevelopment Programs (HARRRP) — a nonprofit, charitable organization that runs community centres in the city’s at-risk neighbourhoods. It provides free programs and services — everything from line-dancing lessons to a tool-lending library — to ease the burden of residents coping with poverty and other challenges. Then: Built in 1896 and opening one year later, Immanuel was one of five churches founded on Locke Street South in the late 19th century. It was later used by Trinity United Church and converted to a commercial building in 1967. Now: Over the last 47 years, the red brick building has hosted a variety of commercial and retail establishments. Today it is home to a music store, hair salon and fitness studio.